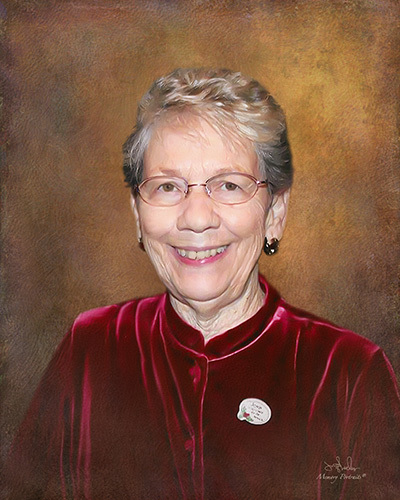 Obituary for Wilda N. "Willie" (Volk) Bair | Mason-Gelder Funeral Home, Inc.
Wilda N. "Willie" Bair 79 of Jeannette died Wednesday April 10, 2019 in Excela Health Westmoreland Hospital. She was born October 29, 1939 in Jeannette a daughter of the late Ralph J. and Wilda (Buckley) Volk. She was a member of the Jeannette Assembly of God Church. In addition to her parents she was preceded in death by a daughter Rachel Thompson, a sister Ruth Casale, a brother Don Volk and her first husband Edward Thompson. She is survived by her husband Donald Bair, her children Gary Bair of Iowa, Charlie Bair of Greensburg and Teresa Bair of Iowa, her beloved grandchildren who meant the world to her TJ (Janelle) Ranous, Tiffany (Zack) Hornak, Cassie Johnson, Carissa Gunderson and Jacob Bair, great grandchildren Brantley Gunderson, Levi and Ethan Hornak, siblings Gladys Kurlej of Murrysville, Phyllis Roscher of Irwin, James Volk and his wife Barbara of Jeannette, Dorothy Passaro of Irwin and Larry Volk of Jeannette, her sister in law Frannie Volk of Jeannette, her son in law Thomas Ranous of Bentleyville, numerous nieces and nephews and her best friend Jean Dennison. Friends will be received Friday from 2-4 and 6-8 PM in the Mason-Gelder Funeral Home Inc. 201 N. First St. Jeannette. Additional visitation will take place Saturday from 9:00 AM till time of service at 10:00 AM in the Jeannette Assembly of God Church. Interment will follow in Brush Creek Cemetery. In lieu of flowers the family suggests memorial contributions be made to the Jeannette Assembly of God Church for the Rachel Thompson Scholarship Fund. To send online condolences visit www.mason-gelder.com.